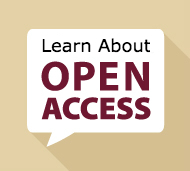 FSU Libraries is committed to support researcher capacity to publish in open access journals. We recognize that these journals, which for the most part do not charge subscription fees, have new and different models for recouping publishing costs. To some authors, publishing in open access venues would simply not be possible without institutional support. Luminos is University of California Press’ Open Access publishing program for monographs, with the same high standards for selection, peer review, production and marketing as their traditional program. FSU-affiliated faculty authors enjoy a 10% discount on the Title Publication Fee. MDPI publishes 160 diverse peer-reviewed, scientific, open access journals. FSU-affiliated authors receive a 25% discount on article processing charges (APCs). The OLH is a not-for-profit enterprise with the sole mission of advancing open access to scholarship in the humanities. FSU-affiliated authors can publish in any OLH journal without paying APCs or other fees.